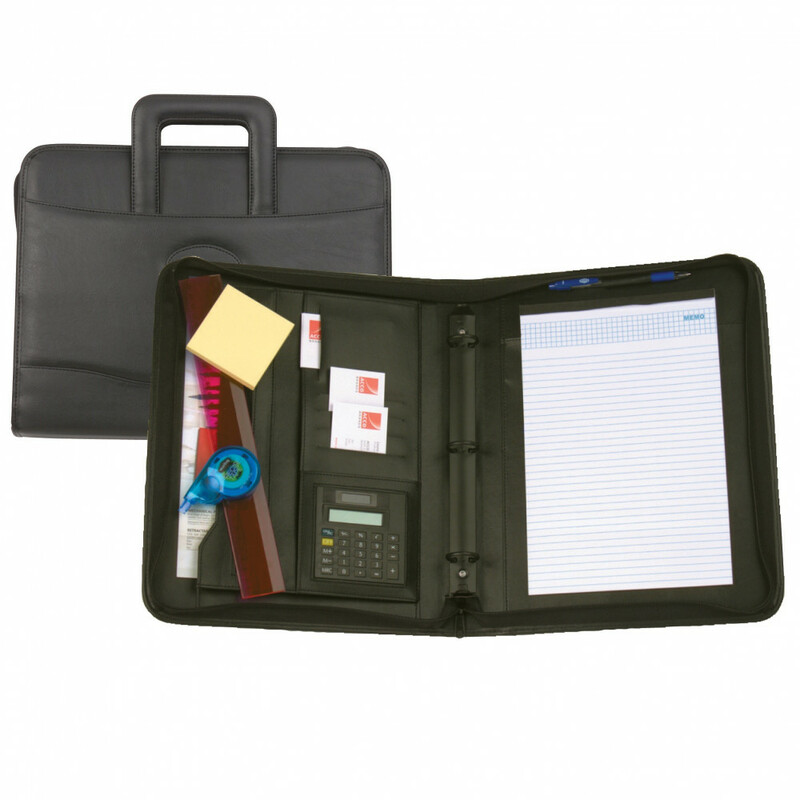 Leather-look finish with 3 'O' ring binder, pen clip, notebook of 30 pages, calculator, 6 compartments & pockets. Includes drop handles for easy carrying when closed. Fully zippered.